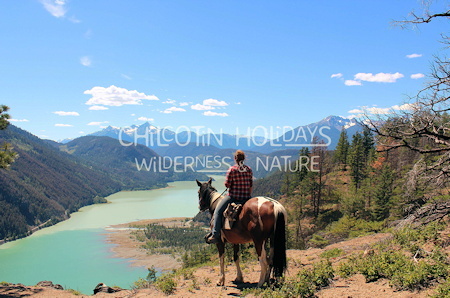 Chilcotin Holidays. 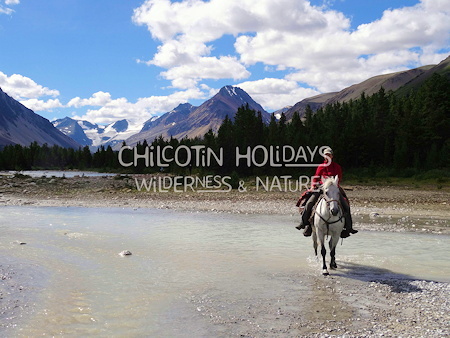 All Inclusive Wilderness Vacations in Canada. 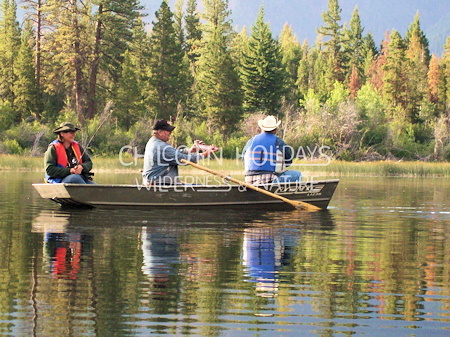 BC Guest Ranch, Horse Pack Trips, Hiking Trips, Fishing, Wildlife Viewing. 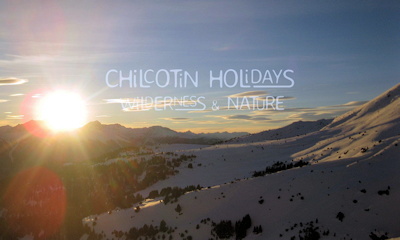 At Chilcotin Holidays our home, lifestyle, history and philosophy are open to you. The Ranch brings people together with different experiences, backgrounds, and cultures, and offers a unique social environment, where everyone can get involved, learn, and become a part of something natural, real and rustic. We are really proud that our Ranch's conservation efforts explores and protects the ecology and biological network that surrounds this beautiful area. Everyone at the ranch is deeply involved with the conservation and stewardship of our 5000sq km operating area, even regionally, provincially, nationally and internationally. 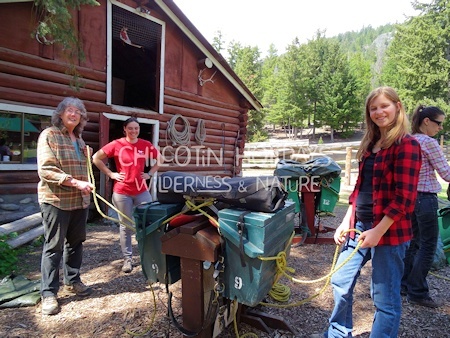 We invite all of our guests, staff, students and interns to participate with us at the ranch, and at home as continuing Conservation and stewardships steps are very important to protecting our planet and everything living here. At the ranch, we involve everyone in our cultural and education experiences with the authentic Canadian Cowboy, Pioneer and Native lifestyles. 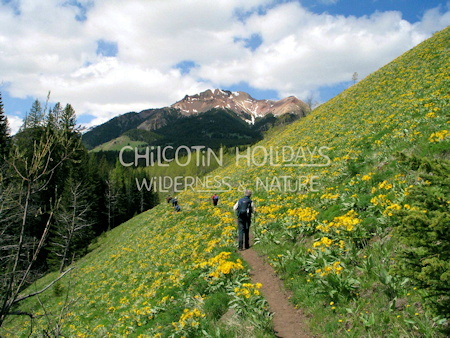 Our trips are built on our connections to our culture, history and nature. 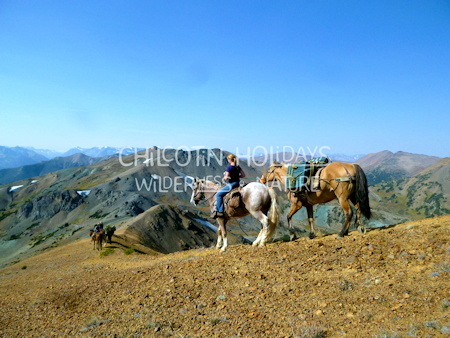 Our wilderness trips are based around introducing people to the beauty of nature, majestic northern animals and wonders of mountain riding. 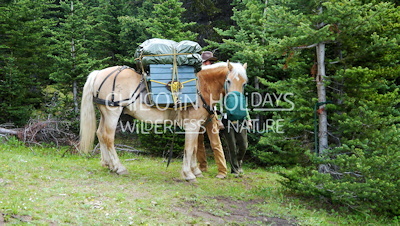 We teach everyone wilderness skills with every trip and each specific training program so everyone may have a chance to learn. The wonderful hardworking Ranch staff and interns are the cream-of-the-crop from around the world. They are highly educated, have high moral values and strong character and are involved in everything, as it should be. 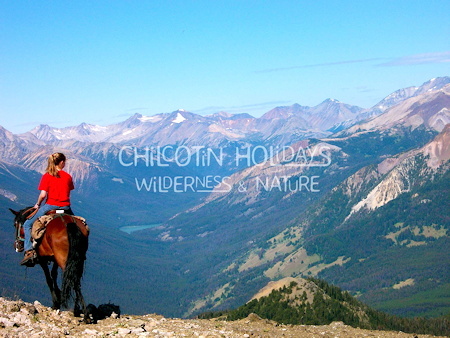 Chilcotin Holidays facilitates an equal opportunity for all and stands by empowerment of all, we create an environment for empowerment and leadership development. 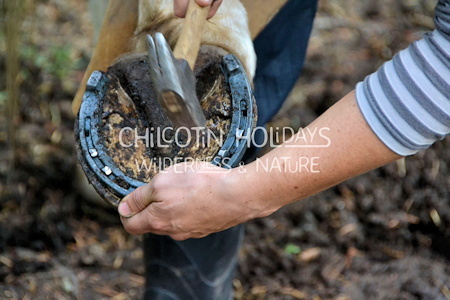 Combining our training procedures for skills and habits, our horses, the wilderness lifestyle and nature, we have a 100% empowerment outcome. Our guests, staff, students and interns all benefit from one another, through learning, listening, partaking, and helping each other. Our Ranches philosophy is to promote the following principles: Proactive, Independence, Responsibility, Initiative and Attitude. These principles are the core values in understanding your capabilities. View details on all of our all-inclusive vacations. One of the last authentic ranches in the world. 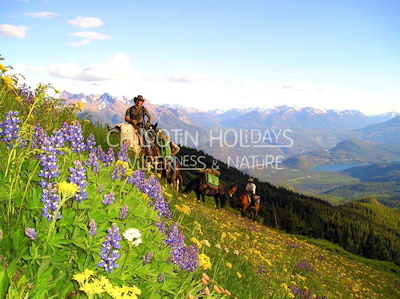 We are located in the middle of pure Canadian Wilderness and we specialize in horse pack trips, hiking trips, fishing adventures, and wildlife viewing.